This is an extra long review than usual, so thanks for your patience if you get through it! Ultimate thanks go to MissNJ! for the edit. Quentin Tarantino has never been shy about his love for the Spaghetti Western, nor his being influenced by the likes of Sam Peckinpah and Sergio Leone. A lot of that influence has crept into his previous films, including Reservoir Dogs, Kill Bill and Inglorious Basterds. The director has also demonstrated his love for Blaxploitation-era cinema in the past with the likes of Jackie Brown. All these elements and genre styles make their way into his latest epic, Django Unchained. 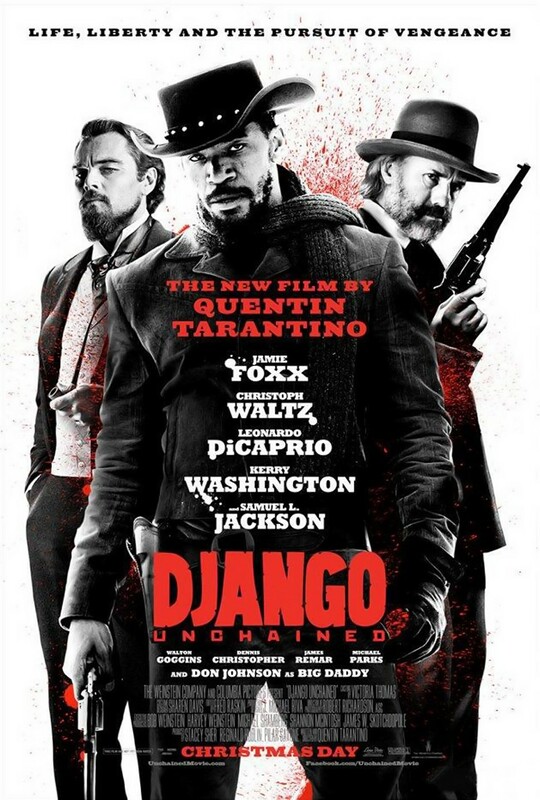 For all its expected whimsical dialogue, quirky visual nuances and clever edits, the film eventually becomes the closest thing to Tarantino (finally) producing his very own literal meld of Blaxploitation and Spaghetti Western; and to view it in any other way would be a mistake, doing one of the most recognizable and popular American directors a disservice. There is no need to be confused, take overly seriously or, god forbid, be offended by Django. A film of two distinct halves, if you do make it through the often brisk but occasionally gruelling 165 minutes to the post credits visual quip, the main thing you should be, is entertained.